As someone who can have a 15­­­­­–20­ minute nap completely rejuvenate me, I carry a hammock in my car often (or backpack if I’m on a bike) so I have a bed with me wherever I go. That way, if I have an hour in between meetings across town, I am able to stop off for a quick nap at one of the local parks—which I have strategically mapped out both in my mind and via Google maps. As a added note, if you have a parachute hammock, the sun will fade it if you leave it in your car, and that weakens the hammock’s strength. If it’s hot, make sure you search for shade. Even if the sun is feeling good as you’re setting it up, it’ll get hotter. The same is true with the shade on cool days; it’ll get cooler. And pay attention to where the sun is in the sky. You may be setting your hammock up in a great place for the next couple minutes, but it may be about to be blazing hot when the sun soon peaks over the tree that has been hiding it. Then you’ve either wasted 5 minutes setting up your hammock or you’ll be waking up sweating. Many people get in hammocks and say, “I could never sleep in a hammock.” For one, those people are crazy. And for two, they are wrong. There are many ways to hang your hammock differently and many ways for you to lay differently in it, some of which are amazingly comfortable—slowly rocking you to sleep with the gentle breeze. I suggest using a curvature that looks like that of a bow standing on its curve. That enables you to lay diagonally so that your body is actually parallel to the ground. It’s for this reason that I recommend the DoubleNest Hammock from ENO, for additional space to lay. You can easily make your own travel pillow by stuffing a puffy jacket in it’s pocket or in a small stuff sack. Then, just like that, you have a little added cushion for your head as you seek to nap in your hammock. 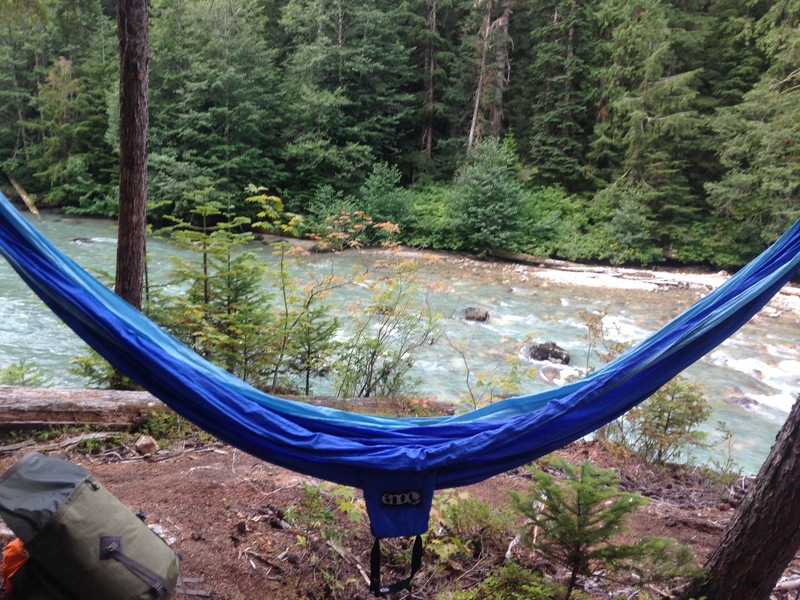 You don’t need it if you’re laying certain ways in your hammock, but it’s great to have something like this to help in case you do! If it’s hot when you go to bed and you think you won’t need a sheet to keep you warm, think again. Sleeping in hammocks are almost always exclusively colder at night. Not only does temperature drop when the sun goes down, but when your body is hanging in a hammock, air currents are running underneath your body. And trust me, they will chill you quickly. So, if it’s even marginally cool outside, bring a sleeping pad to drop underneath you…and bring a sleeping bag. If it’s a bit warmer in the evening, you may get away with just a sleeping bag and a sheet or just one of those. But don’t be afraid to bring a bit too much, because sleep is one of the most important things for you, and it’s uncomfortably difficult to get sleep when you’re too cold. 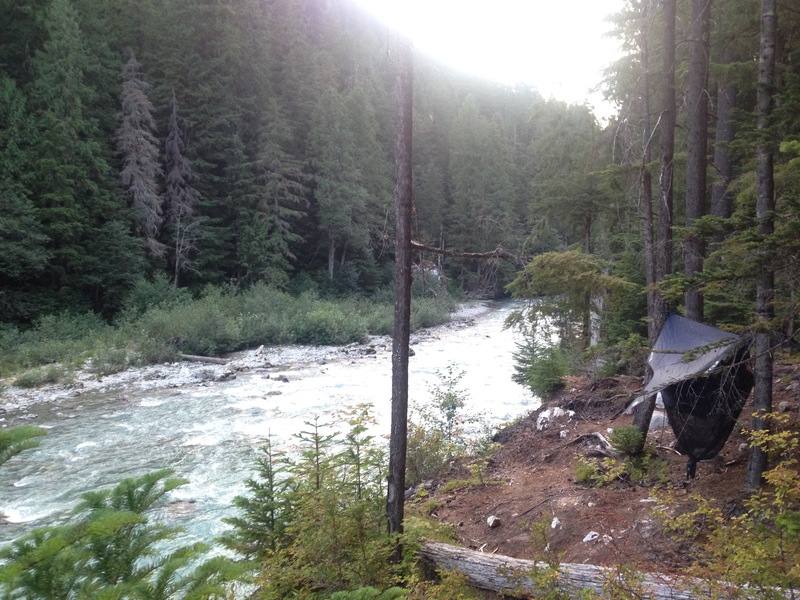 If you’re going to hammock camp, unless you’re in a truly unique place, you’ll likely need a bug net. Sure, put some organic lemon bug prevention on your wrists and ankles, etc. or throw on some Deet. But those wear out. Having a literal barrier between you and the bugs is quite nice. Just make sure you check for holes and don’t fall asleep touching any of the netting (mosquitoes can bite through mesh). There’s something calming about going to sleep with a bug net and you watch mosquitoes try in vain to get at you. Screw you mosquitoes. Now, get out there and give it a try. Don’t be afraid or tentative. Just get out there, get used to setting it up. And with time, you’ll come to know what most of us who sleep in hammocks appreciate: the tranquility and rest that often comes from being rocked to sleep in your own personal cradle.